One of the big casting secrets behind Star Wars: The Force Awakens is that someone actually helped voice the new ball droid BB-8. It wasn't revealed exactly who this was until the credits came up on the movie during the Global premiere this past Monday. 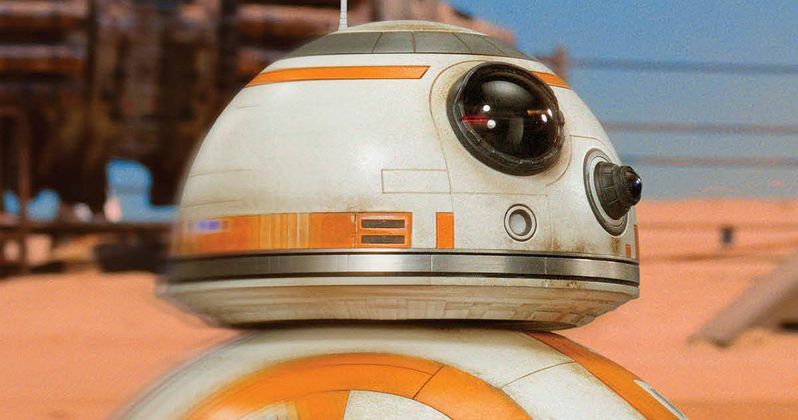 While most assumed that BB-8 was speaking in various beeps and tones produced by a computer, that is not true. Former Saturday Night Live cast member and actor Bill Hader helped created the persona behind this scene stealer. And he had a partner in Ben Schwartz, best known for his recurring role as Jean Ralphio on Parks and Recreation. Both Ben Schwartz and Bill Hader are credited as 'BB-8 Voice Consultant' in Star Wars: The Force Awakens. This certainly is surprising news. In an interview with HitFix, Bill Hader explained exactly what voice consultant means, confirming that he helped provide the cadence and emotion heard emitting out of the little lost robot. "[It was] J.J. f--king around with this sound effects app on his iPad that was attached to a talk box operated by me. It looked ridiculous but it made BB-8's voice. At first I tried doing a voice, but we all agreed it sounded too human." The actor spoke actual lines of dialogue, all of which were known by his co-stars, especially Daisy Ridley's Rey and Oscar Isaac's Poe Dameron, who are both fluent in Atro-Mech droid speak. This isn't the first time that Bill Hader has done voice over work for Bad Robot, the production studio behind Star Wars: The Force Awakens. He also worked with them on Star Trek Into Darkness. In that sequel, he provided the computer voice of the USS Vengeance starship. He also did voice work for Scott Pilgrim Vs. the World. He has also played several characters over the years on South Park, where he also works on the writing staff. Ben Schwartz had this to say on social media about his role in helping Bill Hader bring the droid to life. "You're looking at a bonafide BB8 voice over consultant. And nothing makes me happier. This movie is amazing. Quite possibly the hardest and coolest secret I've ever had to keep. Seeing my name in the credits of a Star Wars film made me smile so wide it almost tore my face. J.J. did this franchise so proud. Can't wait for everyone to see!!! #StarWars." Ben Schwartz and Bill Hader aren't the only secret stars hiding out in that galaxy far, far away. While Simon Pegg's character has yet to be revealed, it's believed that he has a bigger role than initially thought, though he is hidden away in a rather large costume. And it has long been rumored that Daniel Craig is playing a Stormtrooper. Once you see the movie, you may actually be able to point him out, in a scene where Finn, still in his armor, has a rather awkward encounter with one of his squad.